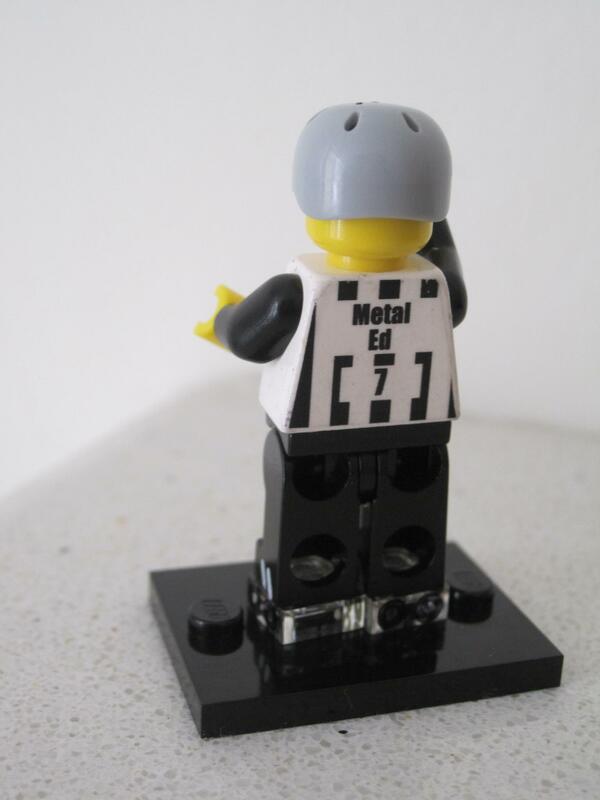 ← Meet the Officials Coaches – Metal Ed! Division 1 playoffs are the start of the road to Champs, WFTDA’s pinnacle tournament of the year. The top 30 ranked teams from across the globe will battle it out over a month in a series of playoffs to fight for coveted spots in the champs bracket and a chance to lift the Hydra. But it isn’t all about the skaters and the teams, as any discerning derby fan knows there is no game without the armies of announcers, statisticians, fans and most importantly, officials. Officials dedicate much of their time travelling to gain valuable experience at scrimmages and bouts. 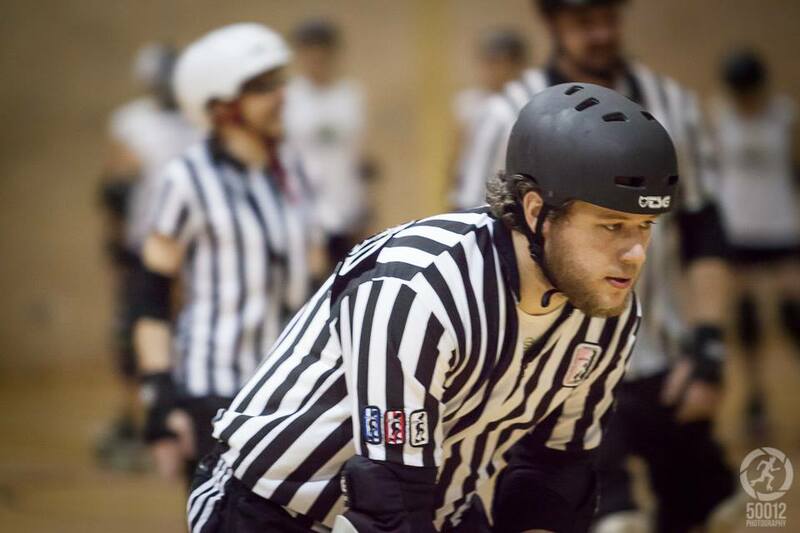 Unlike skaters they often have to rely on ‘on the job’ training and are constantly developing their techniques to ensure that the game is reffed at the highest standard possible. Ed is a long standing referee at our league and has a collection of achievements which he can be very proud of. He continues to push the boundaries of European officiating and represents an exciting and talented group of officials who will continue to break through into America, paving the way for many others to make the jump. We asked Ed a few questions about his experiences, his goals and what it really means to him to have been selected for one of the biggest tournaments of his officiating career…. So Ed, tell us a little about yourself…..
Metal Ed, people who like metal music are typically called metal heads, so not a massive leap! 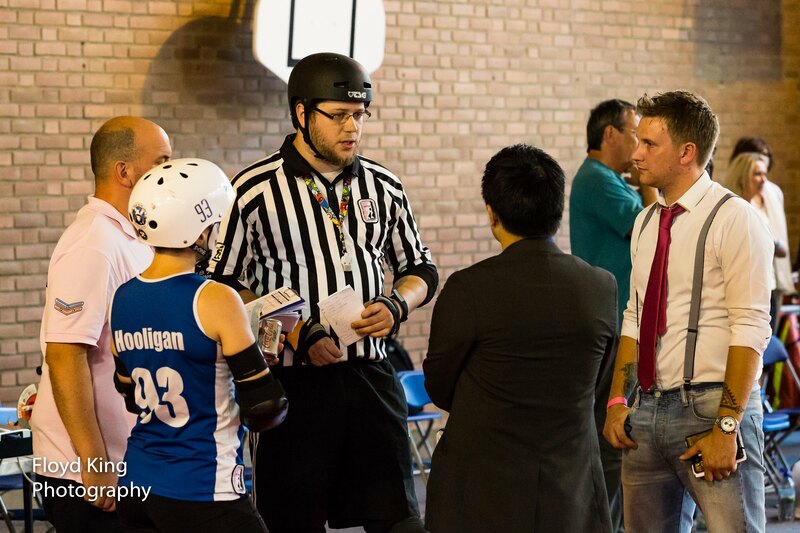 Reffed my first open door game in August 2010 for the London Rockin’ Rollers and being officiating since. Mostly out of Birmingham, UK but I’ve been to loads of places! How does it feel to have been accepted to one of the biggest tournaments of the calendar year? It feels good! 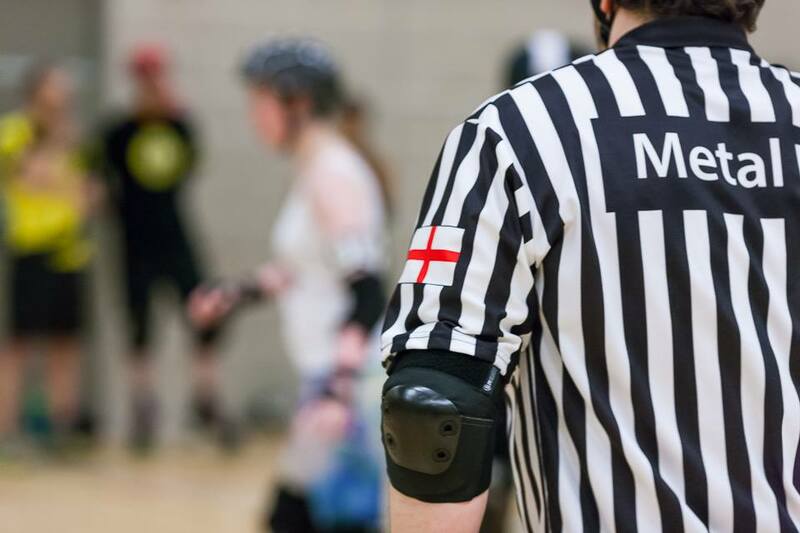 It’s nice to know that the WFTDA are looking out for officials from across the pond, there are some really good officials in Europe and level of play has increased dramatically so expect to see much more of a Euro-invasion, for officials and teams. You’ve been reffing for a long time now, is there anything you would have changed along the way or would like to see changed for future officials? Who wouldn’t like to see a more efficient official’s evaluation process?! But I don’t think I’d have changed anything major… Maybe have just added a few personal holidays along the way! What’s been your favourite reffing memory over your career so far (serious or goofy)? What does going to playoffs mean to you? It means a lot obviously, its great thing to be able to represent Europe and England, especially in officiating. I’ve worked hard this year to meet and exceed the entry requirements, so a big thanks to everyone for being so accommodating. What drives you to officiate? How have you found getting the high level games needed to apply for playoffs in Europe given the current climate of limited sanctioned play and has this affected your ability to maintain your level of officiating? Good question! In all honesty, I haven’t! The only sanctioned play I’ve officiated this year has been from tournaments and the British Championships games. Tournament experiences are the best kind and obviously they prepare you well for other tournaments. “Highest level of play” is slowly creeping in to Europe so hopefully they’ll be more opportunities to get the required experience for every official. Do you have any top tips for officials wanting to progress and follow in similar footsteps? I found that travelling was very good for me. You get to know people, create contacts and start building your reputation. You can also get a good range of input from different officials, different points of view, metrics, and interpretations. I wouldn’t discourage from starting a games history after the first game either! What’s next for Metal Ed? Ha! Who knows! Definitely getting to officiate at the highest level consistently, I’d like to go to Toronto as well! 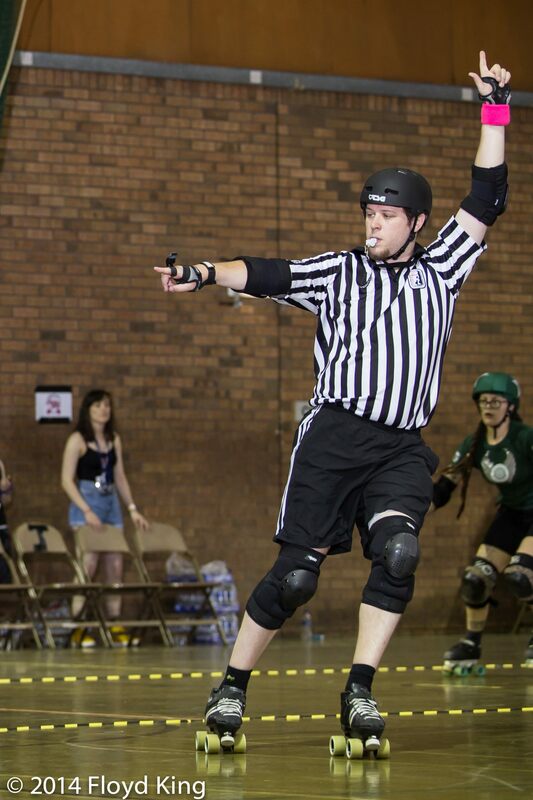 Who inspires you in the officiating world? No one in particular in the typical way, but I’m always impressed by my peers at tournaments and every time a new crew comes together and we have to work together after meeting for the first time the night before! I have people to think for where I am now, but too many to go in to here. 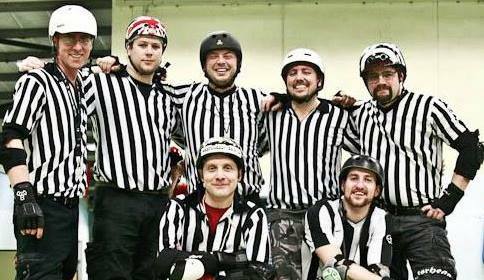 A little birdie tells us you used to play men’s roller derby… have you ever considered swapping your stripes for a gum shield again? could keep up with the recent style of men’s play! Fair play to those guys! Have you got any predictions for who will make it to champs? I don’t think I can say, it wouldn’t be appropriate! You can check out Ed on the live feed for Jacksonville playoffs but you can also catch him at our bootcamp on the 12th of September. So please join us in saying CONGRATULATIONS to Metal Ed and wishing him all the best for his time at playoffs.